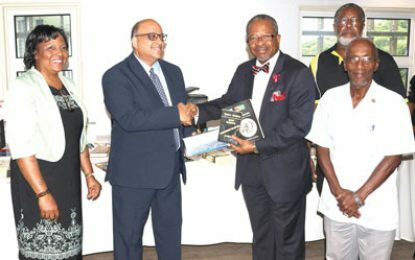 The University of Guyana Library has received a donation of books, equipment and supplies from Siefy Shahabuddeen, son of the former Attorney General and International Court of Justice (ICJ) Judge, Dr. Mohamed Shahabuddeen. Valued at approximately $2.4M, the donation comprises 1,151 printed publications, five printers, two book trolleys, along with a substantial amount of stationery and supplies. According to the university, the books cover the areas of law, history, politics, literature, religion, spirituality to the paranormal and ufology. The items were handed recently to Professor Ivelaw Lloyd Griffith, C.C.H., Vice Chancellor and Principal, at a simple ceremony held on the Turkeyen Campus. Speaking at the occasion, Shahabuddeen pointed out that the donation is dedicated to the memory of his parents, Judge Mohamed Shahabuddeen and Ms Sairah Shahabuddeen, who were both givers. “The Vice-Chancellor expressed gratitude to Mr Siefy Shahabuddeen for the significant donation, and disclosed that the library will officially dedicate a section in honour of Dr. Mohamed Shahabuddeen’s extraordinary contribution to scholarship in the areas of law, politics and economics,” according to the release from the university. Shahabuddeen had previously made a donation of 430 books, worth in excess of $2M, in April 2014. Shahabuddeen was born in Supenaam, Essequibo Coast, on November 10, 1957, receiving his education in Guyana at Queen’s College, and The University of Guyana. He also attended the Cave Hill Campus of The University of the West Indies and Hugh Wooding Law School. 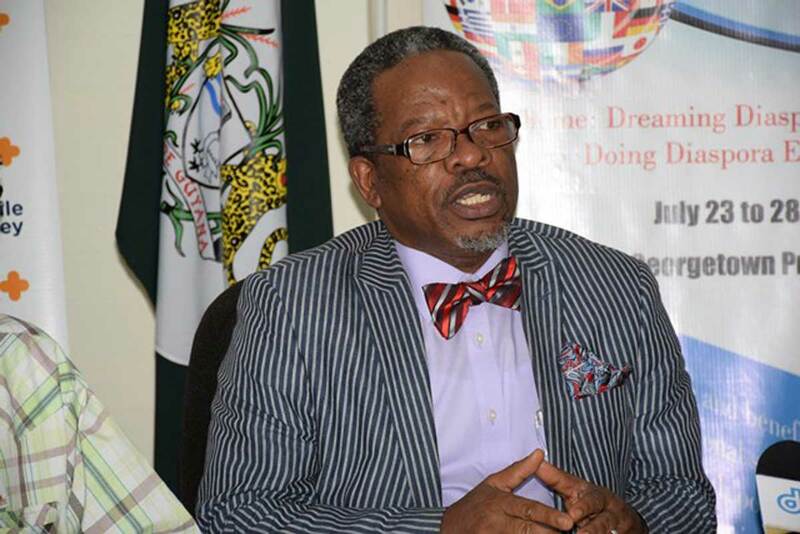 He was admitted to the bar in Guyana in 1987 as an Attorney-at-Law and was thereafter attached to the Chambers of the Director of Public Prosecutions as State Counsel, representing the State in criminal trials in the High Court. Shahabuddeen was admitted to the Bar in Ontario, Canada, in 1996 as a Barrister and Solicitor. Shortly thereafter, he was appointed a Notary Public. In Canada, he worked in the private sector, ran a private legal practice in Toronto, and later joined the Federal Public Service. He retired from the public service in November 2017 at age 60, and lives with his wife Anita in the city of Mississauga, just west of Toronto. Minister of Finance, Winston Jordan on Tuesday signed a Technical Assistance Grant with the Caribbean Development Bank (CDB) for the infrastructural enhancement of the University of Guyana’s library. On March 1st this year, the University of Guyana (UG) and the CDB had signed a separate agreement on the initiative. A release from the Ministry of Finance yesterday said that other signatories to the agreement were President of the CDB Dr Warren Smith, and the Vice Chancellor of UG, Dr Ivelaw Griffith. The US$149,985 ($31.4m) grant was approved by the Board of Directors of the CDB at its Annual meeting held in March this year. It will finance a comprehensive assessment of, and prepare final designs and scost estimates for the construction of a modern, “gender-responsive, socially-inclusive and environmentally resilient facility”. This grant will also help to tackle the adequacy and suitability of the current infrastructure. The new library will be sited on a plot of land west of the current library. The Government of Guyana and UG will contribute approximately US$26,000 towards the full realization of the project. Over the years, the release noted that UG has had difficulty accessing funds to maintain the present library, its other buildings and to build newer buildings to accommodate its growing student population. Despite this, the release said that UG has made incremental changes to the library including the removal and disposal of asbestos from certain areas in 2009; the building of a fire escape in 2010; the renovation of the roof of the new wing of the library and the grilling of windows in the general reading room in 2012; the rewiring of the library in 2015 and the physical upgrade of the learning resource centre in 2017. However, the release said that the library still suffers from infrastructural challenges and weaknesses in staff capacity. The infrastructural enhancement project which will start immediately will be executed by UG through the Office of the Deputy Vice-Chancellor, Planning and International Engagement. A Project Steering Committee will have responsibility for the coordination and overall guidance of the project. In March, when the UG/CDB agreement was clinched, UG Librarian, Gwyneth George said the new building will have a layout which caters for both collaborative and independent spaces She explained that in designing the building UG will focus on incorporating technology in such a way that both a space for learning and creating will be realized. The University of Guyana is slated to get a new, modern library, with funding from the Caribbean Development Bank (CBD), the Government and the University finalized technical aspects of the project. In a statement Wednesday, the Ministry of Finance said the library will be a “gender-responsive, socially-inclusive and environmentally resilient facility.” The Ministry said the CDB had approved US$149,985.00 in grant funding for the project, while the Government and the University will contribute approximately US$26, 000. The funding will go towards the preparation of final designs and cost estimates. The new library will be situated on a plot of land west of the current library. 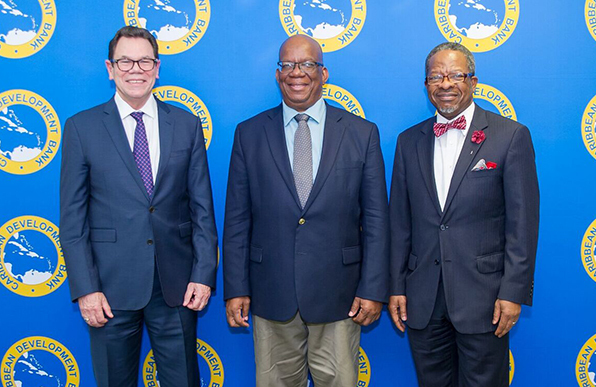 The agreement for the project was signed on Tuesday by Minister of Finance Winston Jordan, President of the CDB Dr. Warren Smith and the Vice Chancellor of the University Dr. Ivelaw Griffith. The Ministry of Finance noted that over the years, UG has had difficulty accessing funds to maintain the present library, its other buildings or to construct newer buildings to cope with its ballooning student population. Despite this, the Ministry stated that the University had made incremental changes to the library including the removal and disposal of asbestos from certain areas and the rewiring of the building. But these improvements still left the library with other infrastructural challenges. “The infrastructural enhancement project which will begin immediately will be implemented by UG through the Office of the Deputy Vice-Chancellor, Planning and International Engagement. “A Project Steering Committee (PSC) will have responsibility for the coordination and overall guidance of the project,” the Ministry stated. Minister Jordan, Dr. Griffith and other senior functionaries of the Ministry of Finance are currently attending the 48th Board of Governors meeting in Grenada. The Ministry noted that the partnership between Guyana and the CDB most recently resulted in an agreement by the Bank to lend its resources with that of the United Kingdom/Caribbean Infrastructure Fund (UKCIF) to fund the waterfront renewal in Georgetown; upgrade the first phase of the Linden to Lethem Highway; and construct a bridge across the Essequibo River at Kurupukari. The Ministry said too that the CDB has also committed an estimated US$6.145 M to the 9th Cycle of the Basic Needs Trust Fund, which will be expended on projects and activities that contribute to inclusive and sustainable economic growth, reduce poverty in poor and rural communities, improve access to critically-needed services. “Next year we will need to begin to talk about what might be the increase beyond…I would like that conversation to be grounded in evidence. What it cost for a diploma, for a degree, for a Master’s Degree, for a PhD, and so I look forward to moving this process,” said the Vice Chancellor. Just recently the UG administration had cause to defend a decision to hike administrative fees, a move that the current UGSS body had fiercely condemned complete with threats to take legal recourse. But the administration, in a statement, underscored that the increase was imperative since apart from tuition and facilities fees, there are other expenses associated with studying at the university. “These are commonly called Administrative Fees, and they cover a wide range of services, including fees for processing applications for degree, diploma and certificate programmes [adjusted from $500 to $1000], and late applications [adjusted from $2,000 to $3,000], late registration [adjusted from $10,000 to $12,000], supplemental examinations [adjusted from $1,500 to $5,000]. “The cost of personal transcripts… [has moved from $3,000 to $5,000],” the administration outlined. It also noted that “some services that were entirely free, now attract a fee. Included here are the re-sit examinations, which now cost $6,000 and letters for students that are used for visa applications and other purposes; they now will attract a charge of $5,000.” But according to the administration, students will only be required to pay the fees if they access the associated services. It was noted that the new administrative fees will not affect all students. “Indeed, some fees do not affect current students; they affect graduates seeking transcripts and other services. A significant proportion of the requests for transcripts come from graduates residing abroad, and dispatching those transcripts carries additional costs,” the administration highlighted. In defending its decision, the university sought to inform that administrative fees were last adjusted by the University about a decade ago. “A comparative analysis of administrative fees being paid at other local tertiary institutions reveals that the new UG fees are far from exorbitant. As adjustments to service fees are being made at the University of Guyana at this juncture, it must be underscored that over the past two years, students at the University have been witnessing numerous improvements that directly enhance their learning environment and educational experience,” the administration added. Vice Chancellor Griffith had said, “While none of us wish to add to the costs of our students’ educational experiences, the practical reality is that running the university costs, and the government subvention does not – and cannot be expected to – cover all the costs.” Meanwhile, Professor Griffith noted that even beyond the proposed costing study, UG must also have in place a statement of economic value. “We need to know what the University of Guyana does for the nation. Every one of the little more than the 1,000 staff we have here, permanent and part time, pays taxes, buys, has mortgages…so there are economic multipliers, we need to be able to calculate what those impacts are,” Professor Griffith stated. 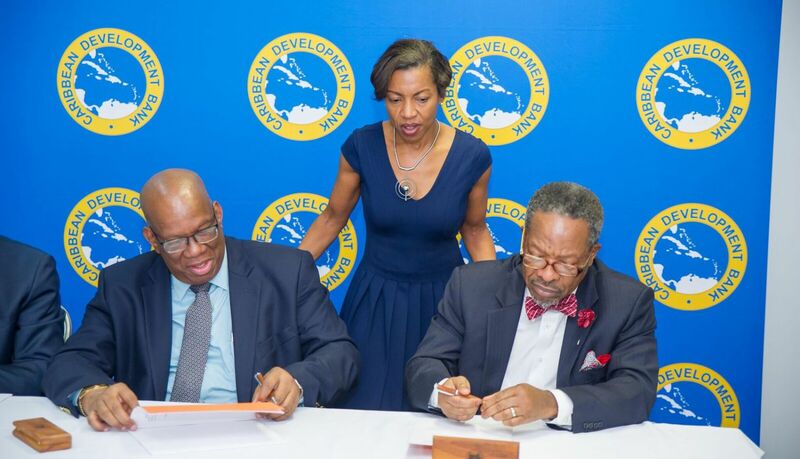 The University of Guyana (UG) yesterday signed a grant with the Caribbean Development Bank (CDB) for just under US$150,000 ($31m) to begin the process for a new library while government has provided US$26, 000 towards the project. The US$149,985 grant which has been provided under the bank’s technical assistance programme will fund a seven-month design and costing exercise which is the first phase in the construction of a modern library which will have less shelves and more computers. She explained that in designing the building UG will focus on incorporating technology in such a way that both a space for learning and creating will be realized. Spaces where people are free to sit where they wish and converse, special rooms and special equipment where students can prepare tutorials or design projects as wells as an Auditorium to teach librarians so that they can better assist student to access online learning material such as electronic books and journals are expected features of the new library. George explained that since a 1997 assessment found the current library to be lacking the department has included a request for a library upgrade in every annual report and she is excited to finally see work being done. Deputy Vice-Chancellor, Dr. Barbara Reynolds explained that the construction will be done in two phases with CDB’s grant being specifically earmarked for the first phase. “While we have a conceptual layout we will have a team of civil and construction engineers do the highly detailed technical work. We will then have Drawing and Designs [at the end of seven months]. We anticipate that very soon you will see in the newspapers calls for expression of interest to provide these designs,” Reynolds explained. CDB Director of Economics Justin Ram further explained that the Bank is aware of the constraints and deficiencies of the current library which prevent it from operating at an optimal level and is pleased to assist in addressing one of these primary constraints, poor infrastructure. Once completed the building will be “big enough” for the needs of the university community and have facilities for those members who have special needs. The current Library building will then undergo an assessment of structural integrity. “Providing it is structurally robust or can be made structurally robust it will be repurposed,” Reynolds noted. The University of Guyana [UG] library is poised to become a hub for learning and innovation. 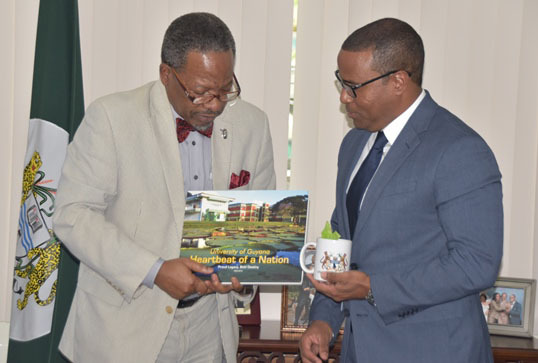 Moreover, the Caribbean Development Bank [CDB] has not been opposed to lending financial support to the national university to realise this goal. Representatives of UG and CDB at a simple ceremony in the Vice Chancellery, UG Turkeyen Campus, announced that a grant of US$149,985 [approximately $30M has been approved to bring to fruition the construction of a new library. Even as he labelled the Technical Assistance Grant as another milestone in the bank’s partnership with the Government of Guyana and UG, Dr. Ram noted that recently the bank had made available another grant to the university to enhance a regulatory framework to improve its operation. “[Yesterday] announcement signals that this institution is one step closer to the construction of a new library, towards improving the quality of education this campus delivers,” said Dr. Ram. 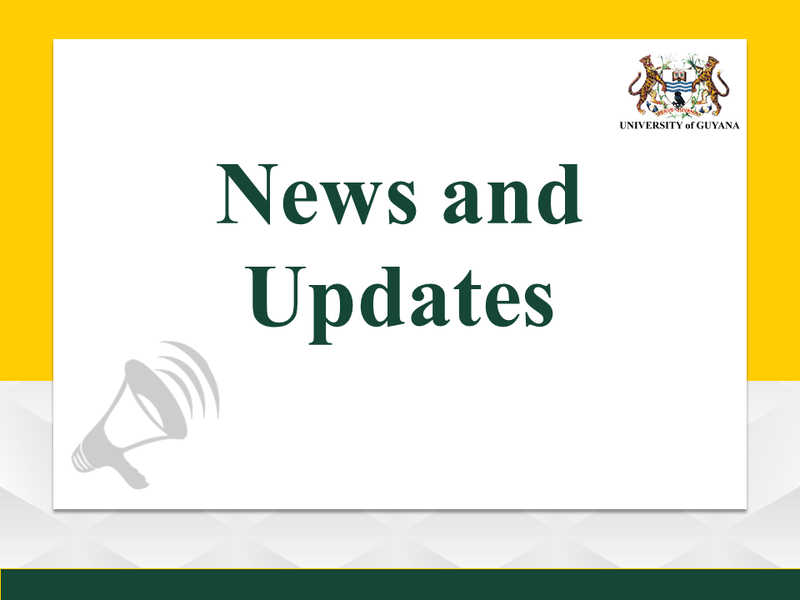 According to Deputy Vice Chancellor Barbara Reynolds, the library project, which commences immediately, will be done in two phases, the first of which will be completed within seven months. Regarding the old library, Reynolds said that moves will be made to assess its structural integrity and “providing it is structurally robust then the sensible thing to do will be to repurpose it.” According to Dr. Ram, the decision to invest in the new library was nestled in the realisation that a library is important to the lives of students. “Libraries boost learning outcomes, providing the resources students’ need to achieve success in their course work. Libraries open access to students from vulnerable socio-economic context who otherwise would not be able to afford; they can lay the foundation and provide a safe space for the pursuit of innovative ideas that can transform, not only Guyana, but our Region and our World,” said Dr. Ram. The move towards a new library comes against a backdrop of a UG library that has been fraught with many deficiencies over the years. Georgetown, Guyana – (June 15, 2017) First Lady, Mrs. Sandra Granger said that she is confident that the librarians, who completed the Guyana Library Association’s Library Management Workshop, yesterday, are now better equipped with the technological knowledge and skills pertinent to efficiently meeting the modern information needs of clients in a digital era. 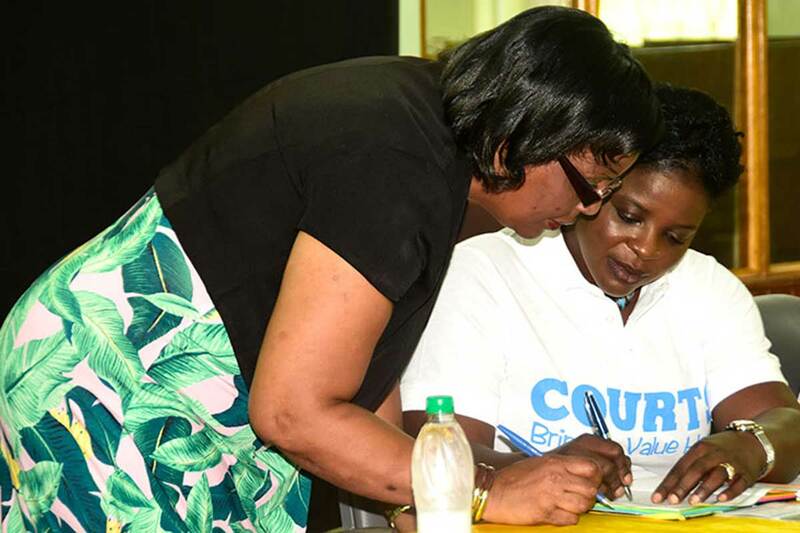 The First Lady made these comments at the closing ceremony of the workshop, which was hosted at the Education Lecture Theatre of the University of Guyana (UG), East Coast Demerara. “The advent of Information and Communication Technology (ICT) has demanded a shift to library and information science… inferring the merger of libraries and information. The fact is that libraries have to adapt to the communication age, not only in the administration of libraries, but also in the ways in which they acquire and lend books and offer services to the communities they serve,” she said. The First Lady noted that librarians, who would have used hard copies of documents, magazines and other reading material and the Dewey system of cataloguing, must now upgrade their skills in order to remain relevant, while meeting the needs of current and future generations. “Electronic cataloguing, storage and retrieval of priceless documents of national importance would make it more simple for borrowers to access the information needed, and the librarians, who are custodians of our national depositaries, can breathe easier that their valuable assets will not be maimed, disfigured or, horror of horrors, stolen from their respective collections. This is where librarians recognise the importance of information management, so that the process of acquiring, cataloguing and lending materials, as well as signing up new membership, is done electronically,” she said. 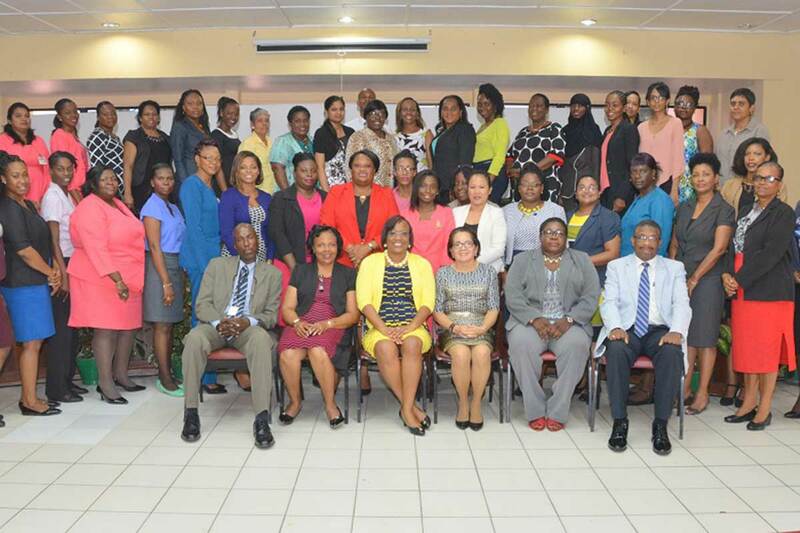 The three-day workshop, which started on Monday, saw participation from librarians attached to the Guyana Parliament, the National Library, the Bank of Guyana Library, the Guyana National Bureau of Standards, the Ministry of Foreign Affairs Library and the University of Guyana Library. It is the first training workshop that the GLA has held since it resuscitated its membership in 2016. Secretary of the GLA, Ms. Simone Bernard, said that the group was eager to capitalise on the opportunity to participate in the workshop as in Guyana, library science is a “dying” profession. “Changes in the library environment in recent years have resulted in the need for new skills, new abilities and new knowledge. This new GLA body hopes that workshops such as this one… and other types of training would help our local librarians and library workers to acquire new skills and knowledge that are required to do our day-to-day work, that are required to keep us relevant, that are required to make us useful to our users,” she said. The workshop, which was held under the theme “Contemporary Issues in a Library and Information Management” covered topics such as strategic planning in libraries, leadership and quality assurance issues in libraries, all aimed at equipping the librarians with the skills needed to accomplish the goals of their various libraries. The librarians received Certificates of Participation at the closing ceremony. The programme was chaired by Mr. Ian Castello, Assistant Librarian-Systems, UG. Ms. Jiselle Alleyne, Campus Librarian/Assistant Professor, University of The Bahamas, who facilitated the workshop, Dr. Fitzroy Yaw, Director of Strategic Initiatives, UG, Ms. Gwyneth George, Chief Librarian, UG, Ms. Emily King, Chief Librarian at the National Library and Dr. Terrence Smith, Deputy Governor of the Bank of Guyana and Ms. Juneann Garnett, President of the Guyana Library Association also attended the ceremony. Indo-Caribbean Feminist Thought: Genealogies, Theories, Enactments is a new collection of essays that will be launched at the University of Guyana’s Turkeyen Campus on May 11 and at the Berbice Campus on May 12, 2017. The book is being launched in tandem with UG’s new Institute of Gender Studies, now in its setting up phase and in partnership with the Women & Gender Equality Commission (WGEC). The book seeks to answer the question of how Indo-Caribbean descended women and men are drawing on the negotiations of earlier generations. The publication brings together explorations of Indo-Caribbean and dougla women’s involvement in literature, art, education, biography, Mariamman puja, carnival, baby albums, celebrity, online identities, activism as well as discussions of Indo-Caribbean masculinities and international rapper Nicki Minaj, to show just how this is happening. The book was edited by Dr Gabrielle Hosein, Head of the Institute of Gender and Development Studies at the University of the West Indies, St. Augustine, Trinidad, and Dr Lisa Outar, an Independent Scholar based in the United States, but originally from Port Mourant, Guyana. It features essays by three generations of scholars and activists working both in the Caribbean and in the Diaspora. The collection looks at a whole range of thinking about gender and feminism from the time of indentureship to present, and focuses not on relationships to India but rather on the unique versions of Indianness and feminism to be found in the Caribbean. It offers perspectives from Guyana, Trinidad, Guadeloupe, Martinique, Canada, the United States and Mauritius. 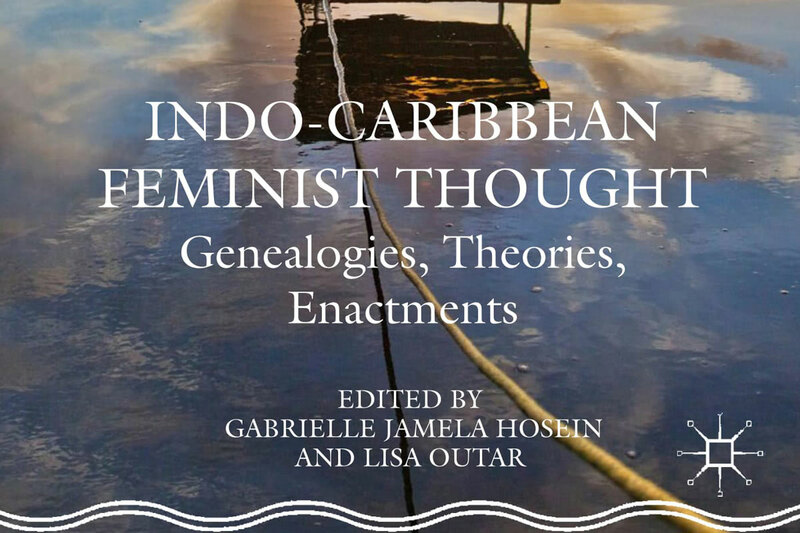 This book is the first to trace a genealogy of the contributions Indo-Caribbean women have made to Caribbean feminist epistemology and to post-indentureship feminist thought. According to Dr Lisa Outar, “The collection takes on big questions such as the ways in which Indian feminism is shaped within broader Caribbean feminist movements, the roles that religion and religious education have played in creating agency for women, and how Indo-Guyanese women shape their identities in New York.” The book explores how music and literature have presented Indian masculinity and what the legacies of the plantation are for Indian men. With regard to the role of the arts, it looks at how artists use the power of visuality to present their perspectives, how Indo-Caribbean women in the Diaspora return to the region for carnival and even how pop icons like Nicki Minaj play with the category of dougla. Dr Outar further stated that, “the collection therefore also provides space for the ways that dougla and mixed-Indian women have shaped their own understandings of feminism and Indian identity, and how young Indo-Caribbean women come to understand themselves in relation to the generations that came before them. Finally, bringing in contemporary concerns, it explores how sexuality and gender identity are experienced and negotiated in relation to ideas about cultural identity, as well as the links between the different parts of the indentureship Diaspora.” Dr Eudine Barriteau, author of The Political Economy of Gender in the Twentieth-Century Caribbean and Pro Vice-Chancellor and Principal, University of the West Indies, Cave Hill Campus, states, “Indo-Caribbean Feminist Thought constitutes a ground-breaking, boundary-shifting body of work in Caribbean feminist thought. Drawing on transdisciplinary locations and fluid identities, the contributors displace the polarity of a hegemonic, diaspora-centred location by employing transnational, transoceanic and transdisciplinary analytical tools. The event will feature an interview with the two editors and will be of interest to scholars, writers, artists, students, and members of the public with an interest in Caribbean feminisms, Indo-Caribbean and dougla gender negotiations, and studies of both past and the present day Caribbean. With a current enrollment of some 8,000 students, The University of Guyana (UG) has graduated more than 20,000 students who have gone on to successful careers locally, regionally and internationally. The University is also a major contributor to the national economy and to business and industry. Established in 1963 on a part-time basis with shared space at Queens College, UG moved to its own campus at Turkeyen in 1970 and expanded in 2000 with the addition of the Tain Campus. It now offers more than 60 Under- graduate and Post-graduate Programmes including the Natural Sciences, Engineering, Environmental Studies, Forestry, Urban Planning and Management, Tourism Studies, Education, Creative Arts, Economics, Law, Medicine, Optometry and Nursing. Several online programmes are available and The UG also offers extra-mural classes at four locations through its Institute of Distance and Continuing Education (IDCE). The UG also offers the opportunity for student engagement in debating, sports, and cultural, religious and professional activities.